Universities in China have demonstrated a growing inclination to establish and expand their e-sports curricula among students over the past few years at a time when live broadcasts of the world tournament League of Legends (LOL) has attracted an audience totaling tens of millions, mostly the young. The influence of the global tournament is peculiarly popular in China this year, since the country 's Royal Never Give up (RNG), for the first time, defeated the South Korean KINGZONE Dragon X (KZ) in the final of LOL's Mid-Season Invitational (MSI) 2018 in May. The victory not only terminated the invincibility of South Korean teams for the past five years, but also boosted the confidence of domestic professional players, enabling them to claim trophies in the Intercontinental Tournaments and the Asian Olympic Games in the past few months. However, despite the major breakthrough achieved among China's professional players, most local educational institutes have remained reluctant to bring e-eports into the classroom. Even though more than 20 institutes of higher education in the country have started such courses, many have preferred backstage analysis, algorithms, event organization and broadcasting. Few have even remotely touched on the training of professional contestants. Xiaojun (pseudonym), a sophomore majored in e-sports analysis at the Communication University of China in Nanjing, said, "We are not trained to be professional players as we spend most of our time studying analytical theories." "We team up in e-sports analysis classes, finding and resolving the problems emerged from the LOL games, such as, player complaints of unsmooth communications that should be surmounted by the testing and monitoring of certain keywords," Xiaojun said. E-sports, which was a peripheral sector in China for a long time due to serious concerns about children becoming addicted to it, remains a taboo for many parents, who strongly oppose the opening of such classes in schools despite the wide popularity of LOL among the younger generation. However, professors immersed in the e-sports research have argued that the implication of e-sports games nowadays reaches far beyond being a kind of entertainment designed simply to kill time. "Rapid development and far-reaching influence have made e-sports a pedagogic subject to be studied carefully, such as, how to design the games for targeted audiences categorized by different age groups, how to select professional players and how to train professional commentators, enabling them to speak appropriately while addressing the audience," said Zhu Junhe, in charge of the broadcasting and arts school of the Shanghai University of Sport. 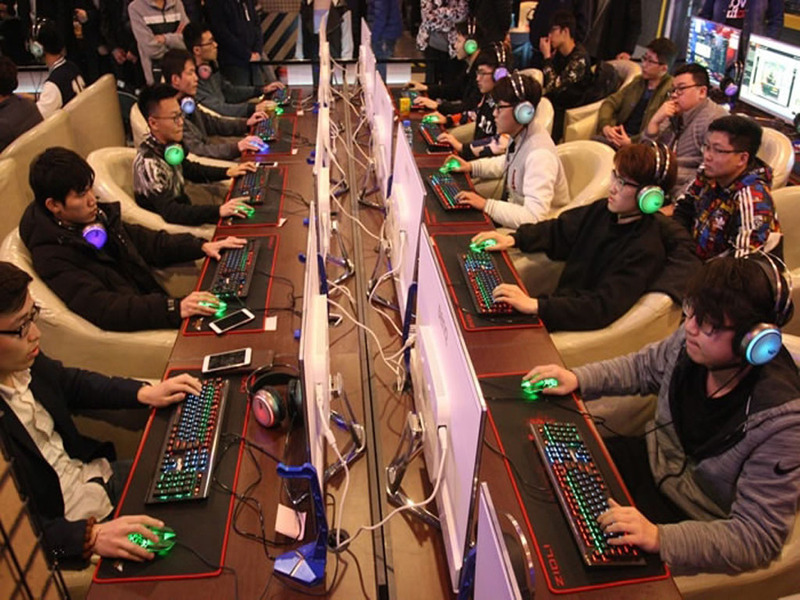 E-sports education in China was not only influenced by concerns over young people's potential addiction to the games, but also due to a lack of orthodox textbooks and an incomplete disciplinary institution. According to Chen Jiang, associate professor from the School of Electronic Engineering and Computer Science of Peking University, collecting sufficient documents is the most difficult part of his work in preparing an optional course entitled "Common Theory of Electronic Games." Chen explained: "Every subject has textbooks and reference books, but all these resources are absent from e-sports courses, so I have to search for some documents to satisfy my class."